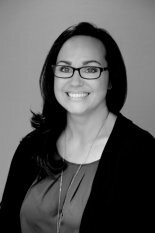 Emily (Townsend) Groumoutis is proud to be part of the professional staff at Shirley's Realty as a Licensed Salesperson. Her integrity, hard work, energy and creative service will shine in every part of your real estate transaction. Being born and raised in Maryville, she is well-versed in the local market conditions and understands the importance of working with an agent you know, trust, and respect. Her experience in home construction is what sets Emily apart from other agents. She has been instrumental in remodeling many existing homes and businesses, in addition to first-hand knowledge of custom residential builds. Allow her years of experience to enhance your current property search. Emily and her family currently reside in Maryville. Her husband, Deno, helps manage their family-owned restaurant; and their two young kids are involved in various school and sporting activities. When they find themselves with spare time, her family enjoys walking/biking through the gorgeous Northwest Missouri State University campus – it is truly a Maryville gem! Whether you are purchasing or selling a home, farm land, vacant lot, or commercial property, Emily looks forward to working for you. You can reach Emily by phone at 660-853-9896 or e-mail at emily@shirleysrealty.com.